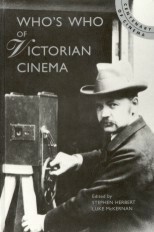 When the first movie theatre opened in Berlin in April 1896, its Kinematograph was considered in some press reports 'fundamentally an improvement on and a perfection of the Anschütz Schnellesher', a contemporary tribute to an influential and now undervalued pioneer of chronophotography. Unlike E-J. Marey, Georges Demenÿ, and many other chronophotographers, Anschütz was not primarilly a scientist, but rather an artistic photographer committed to the quality of the image. The son of a painter of wall decorations in homes and castles around Lissa in the (then) Prussian province of Posen, Ottomar Anschütz set up a darkroom for wet-plate photography in the family home, switching to Monckhoven's fast dry plates when they became available in 1880 so that he could pursue his already firm interest in photographing moving subjects. Anschütz developed a series of fast shutters in the 1880s which allowed him to take subjects at 1/1000th of a second; his deservedly famous 1884 photographs of storks in flight were a direct inspiration for aviation pioneer Otto Lilienthal's experimental gliders in the late 1880s, and he made many striking animal studies at the Breslau Zoo and elsewhere. The influential Anschütz focal plane shutter of 1888 was used in still cameras sold by the Berlin firm of C.P. Goertz for nearly thirty years. His chronophotographic camera of 1882, incorporating his fast shutter and an electrically timed release, was a group of at first twelve and later twenty-four cameras of his own design, constructed with his regular collaborator, an organ builder and next-door neighbour named Schneider. It was used to take series photographs of horses in 1883, and beginning in 1886 Anschütz made many studies at the Military Riding Institute in Hanover with the support of the Prussian War Ministry. His adaptation of the Zoetrope, the 'Wundertrommel' or 'Schnellseher' dates from the same year: photographic series pictures were mounted on the inside of a vertical or horizontal cylinder, with thin viewing slits between the images. A table-top model was sold widely in 1891. By March 1887 Anschütz had developed his Tachyscope, a disk of twenty-four glass 9x12 cm diapositives turned by a crank and intermittently illuminated by a spark of a spiral Geissler tube, which could be viewed either directly or by small groups of people. A later form of the same instrument was a long (horizontal) cylinder with four to six bands of series pictures each of which could be viewed through individual ports. By 1891 a motorised and slightly smaller device called the Electrical Schnellesher was being manufactured by Siemens & Halske in Berlin as both a public coin-operated attraction and a home machine, and was displayed at the International Electrotechnical Exhibition in Frankfurt; on the Strand, London (1892) and at the Chicago World's Fair (1893) as well as many other locations: nearly 34,000 people paid to see it at the Berlin Exhibition Park in summer 1892. Two years later Anschütz developed his Projecting Electrotachyscope, which used two discs of images and a rotating shutter, all intermittently moved by a twelve-sided Maltese cross gearworks. It projected selections from forty series pictures on a screen six by eight metres at the Horsaal des Postgebaudes in Berlin on 25, 29, and 30 November 1894, and was patented on 6 November. From 22 February 1895 Anschütz began regular screenings with the Projecting Electrotachyscope, which was enclosed in a soundproof booth and projected through a glass window to the screen of a 300-seat hall in the old Reichstag building on Liepzigerstrassse in Berlin, at an admission of 1 and 1.50 Marks: the box office total for March was 5400 Marks. This was the last known use of the Anschütz apparatus. 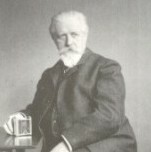 He became photographic advisor to Kaiser Wilhelm II's family; accompanied the family on their trip to Palestine in 1899; opened a shop for photographic supplies and equipment at 14 Unter den Linden, Berlin; and turned to the construction of small cameras and the encouragement of amateur photography, particularly through his three-volume book Die Photographie im Hause, published in 1901-2. Between 1894 and his death in Friedenau bei Berlin on 30 May 1907, Anschütz received twenty-six 'petty patents', or Gebrauchsmuster, on various photographic devices, including shutters, darkroom apparatus, film cassettes, reflex viewing screens, and changing bags. With his photographs welcomed in the salons of both Europe and the USA for their outstanding quality and remarkable modernity, Anschütz was constitutionally unable to work with the less sensitive and reliable celluloid filmstrips of 1894; instead he abandoned chronophotography just as his work was impressing Thomas Edison, Marey, and others. Although his animated projections widely excited the public and the press, the uncompromising standards of this proud innovator meant that he retreated from the field just as the cinema was born.